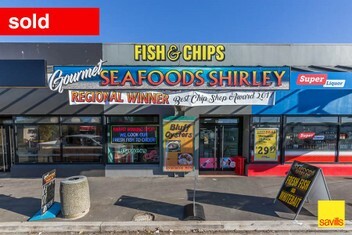 Here is your chance to own a bite sized investment in the popular suburb of Shirley. This award winning operator has signed a new 6 year lease and is offering to the market the land and buildings. This block has undergone strengthening work to a minimum of 67% NBS and is fully occupied with a mixture of service/ hospitality and retail tenants. The Unit is situated on the busy Hills Road/ Shirley Road intersection and provides excellent car parking at the rear of the site with access off both streets. Be quick to register your interest with the sole agent and request an information pack.